I often visit Disneyland on Friday afternoons, after I get off work, and one of my favorite habits seems to be entering Disneyland park right around sunset. The Southern Californian light is typically gorgeous during this time of day, and the first sight that always greets me is the stately Disneyland Railroad Station standing behind the Mickey Mouse floral. 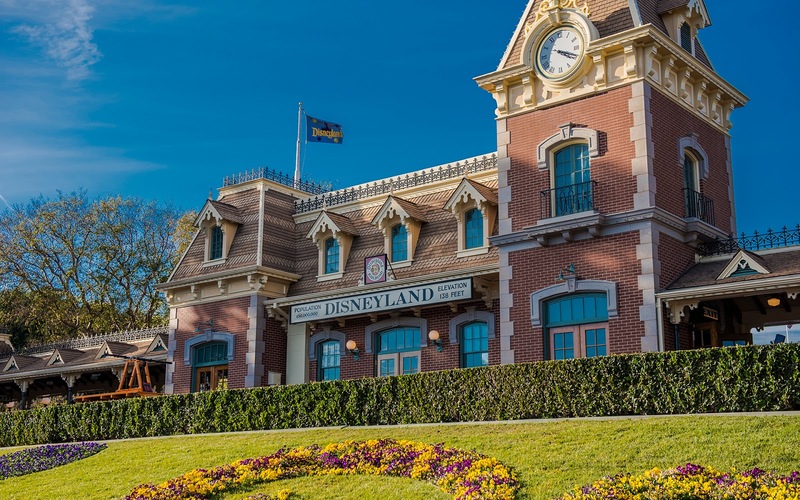 The classic brick building has been a fixture at the park since the very beginning, and it forms such an inviting scene behind the landscaped berm. Between the blue skies, red brick, tan trim, and colorful flowers, this scene can't help but be unforgettable!